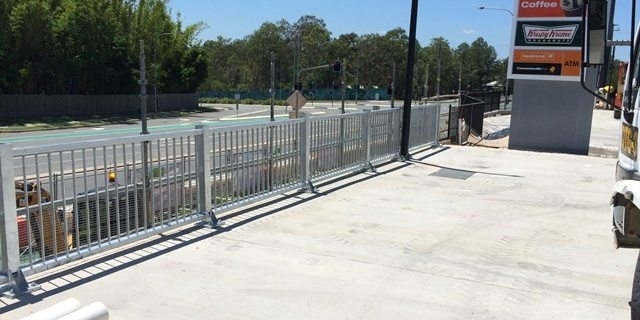 The first RHINO-STOP® Elite Queensland project has been installed by Safe Direction’s customer Ontime Guardrail. Ontime reports that the installation was exceptionally quick and that their client is very happy with the product. RHINO-STOP® Elite was specified for its aesthetic appeal while meeting the requirements of, AS1170.1 for loadings on a car park barrier and the Australian Building Code. The sleek design of RHINO-STOP® Elite is making it a favourite with architects that are looking for barriers that depart from the industrial look and provide a refined appearance more suited to commercial environments. Contact Safe Direction for more information on our RHINO-STOP® Elite by calling 1300 063 220.